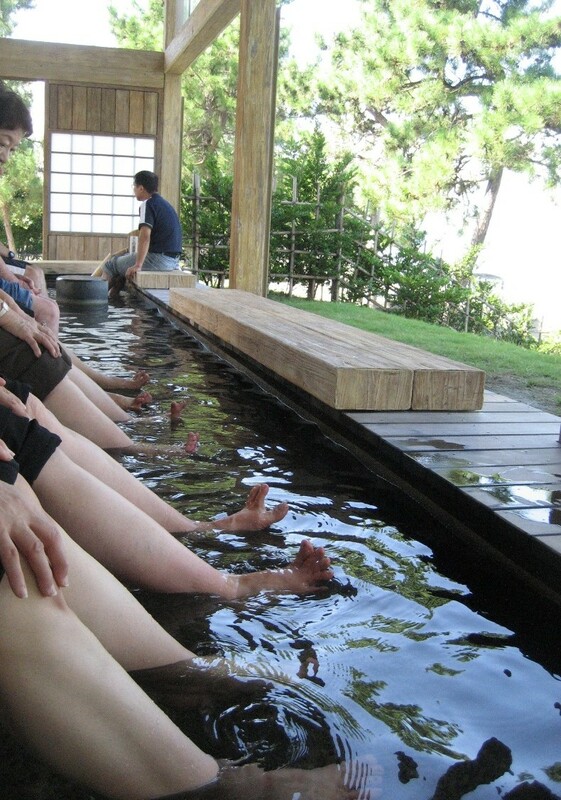 This foot onsen is situated right on the waters edge up on the Japan sea. Onsens are great here in Japan but sometimes there is just not enough time to strip down so the next best thing when you are on the move is a foot onsen. You will find them all over Japan and there are a number of them in and around Hakuba. They are usually free to use and are a great way to relieve the pain unleashed by our ski and snowboard boots. Sit down and relax. This entry was posted in Hakuba, onsen and tagged foot onsens, Hakuba Hotels, onsen with your clothes on, ski japan, snowjapan. Bookmark the permalink.